Wow, 99 weekly faves posts. It's crazy how long I've been uploading posts on here. It's the end of Blogtober and I don't know whether I am happy about that or not. Although I have decided I will be doing Blogmas where I blog every day of December until Christmas so if you want to see more posts everyday, you should definitely pop back December 1st, or tomorrow as I have my What else happened in October post which you guys seem to really love. 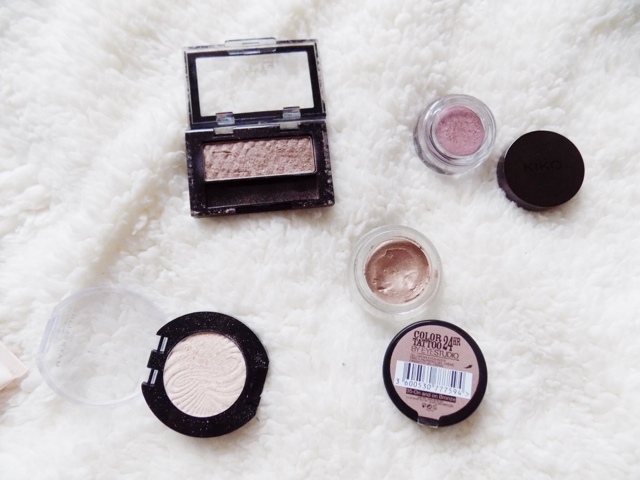 Starting off with makeup, I have been loving some single eyeshadows. First is the Maybelline Color Show Eyeshadow in Sultry Sand and I like to apply this after I've applied my eye primer to set it and it has been really great at keeping my eyeshadows crease-free, and looking perfect all day. I've then been going in with the Maybelline Color Tattoo in On & On Bronze, as a nice bronze base colour, and then applying either the Kiko Metallic Shine Eyeshadow in 02 Absolutely Rose which is a shimmery purple/mauve shade. It looks super pretty over the top of this cream shadow. I also love the Rimmel Smokey Quartz Eyeshadow as this is the perfect taupe bronze shade which is basically the powder version of the Maybelline Color Tattoo. 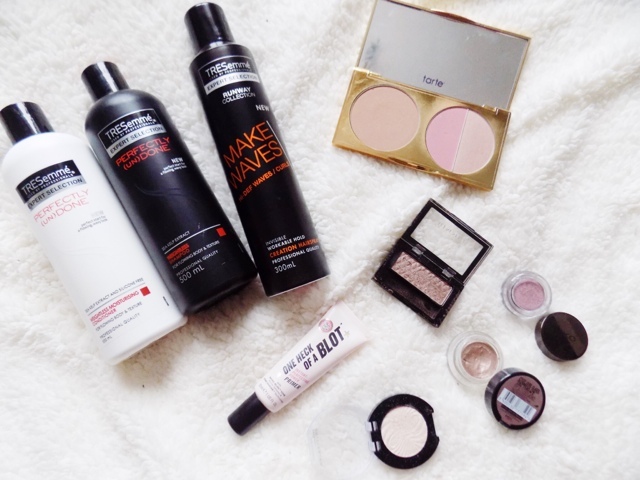 Next is the complexion and the Soap & Glory One Heck Of A Blot Primer has been my favourite this week for perfecting and riming the skin but also adding a touch of hydration to the skin. 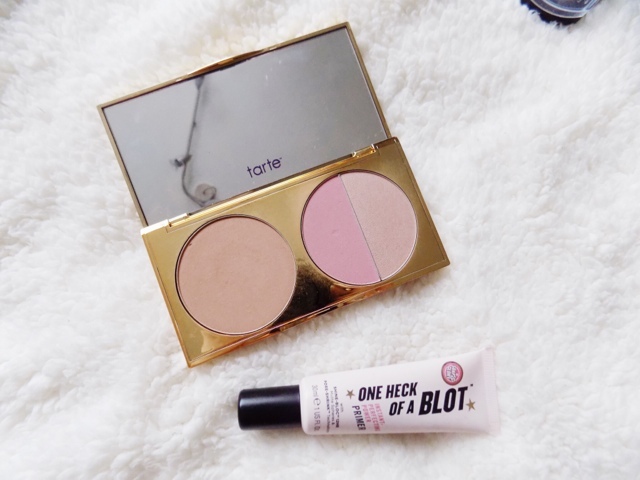 The Tarte Amazonian Clay Blush in Posh and the Amazonian Clay Highlighter in Champagne Gold are my only blush and highlighter combo that I've worn the last couple of weeks. Now for hair and I know I've been using a lot of Tresemme products recently but I picked up the Perfectly UnDone Shampoo and Conditioner as I love the rest of the range so much. I've used this duo a couple times and it makes my hair feel weightless and more wavy, and generally just fantastic. I've purchased the Runway Collection Hair Sprays this week and I have been loving the Make Waves. Which is a great volume creating, strong but weightless hold. Although I do find you have to be super careful when it comes to using too much as it can make your hair crunchy and sticky if you're not careful. You may have seen my style post this week. I've been trying to incorporate more fashion stuff in IABT and this week I have been loving these two pieces. 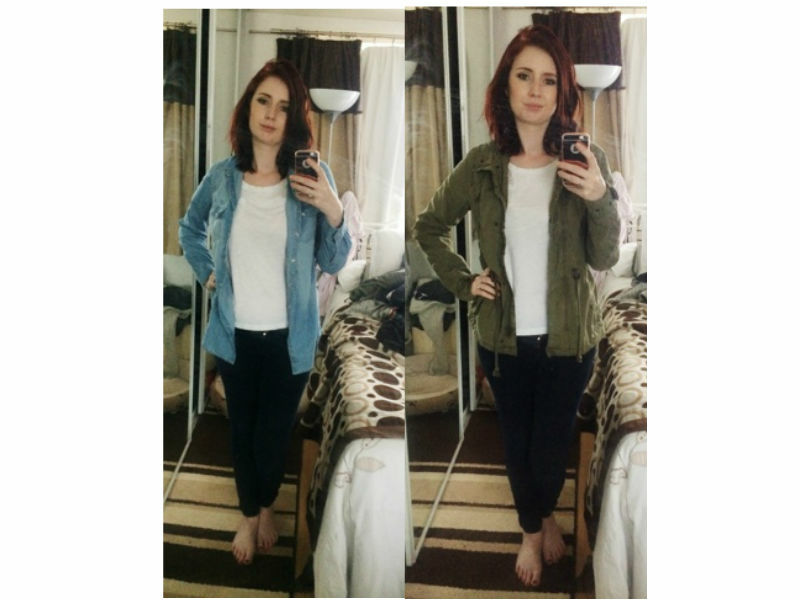 A denim shirt, and a khaki green jacket. These are perfect Autumn staples in my wardrobe and I will definitely be getting lot's of use from these. 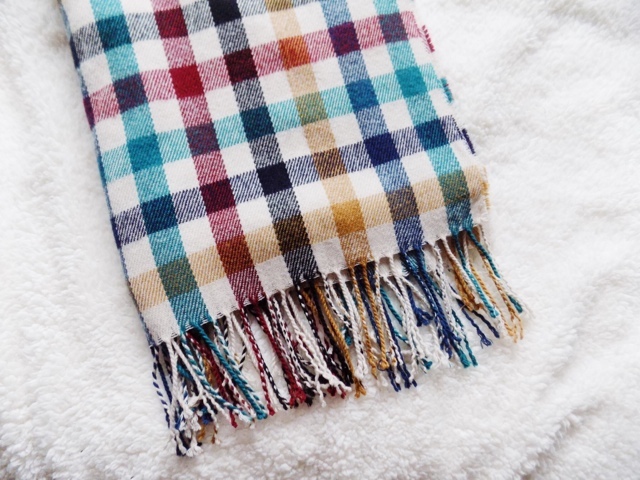 This scarf is another style staple. This has all the perfect shades for this season, which means it goes with most of my clothes. This is my pumpkin this year. 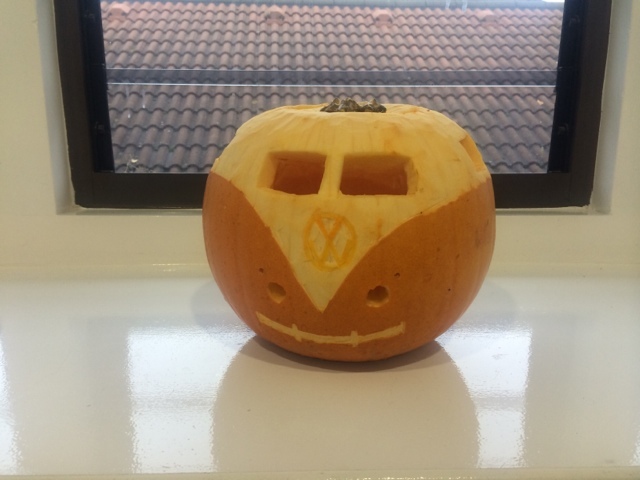 Every year work give each team a pumpkin and then they judge them at the end of the day. I am always the one that does this as I love being creative, even if it is on a vegetable that has insides resembling vomit. But I had fun doing this. Ben and I finished the first and only season of Intelligence this week which was both very sad and awesome as it was just getting good. This is definitely a must watch if you're looking for an interesting tv show. The Chosen was the movie I liked the most this week. Definitely a unique movie which we enjoyed very much. 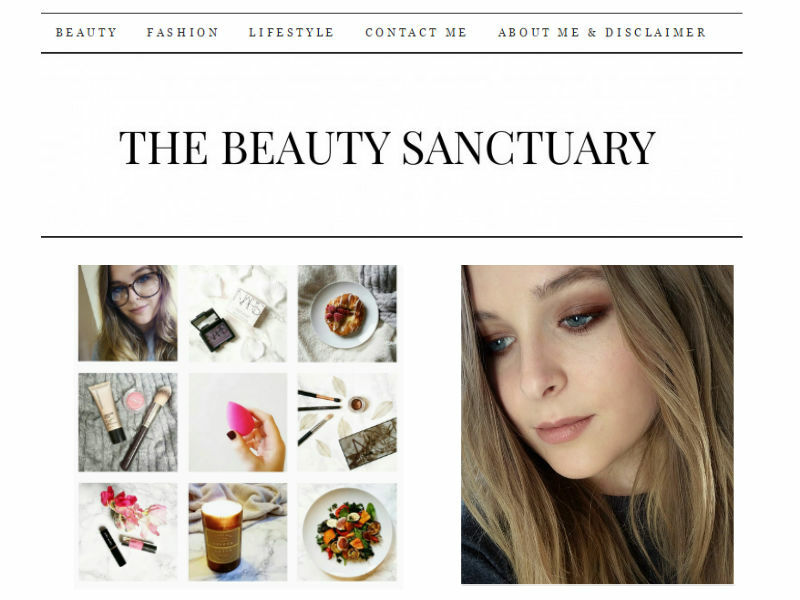 A new blog I've discovered this week is The Beauty Sanctuary Blog her Instagram is incredible too. Her photos are incredible, her blog is beautiful and I've just generally been loving her this week. 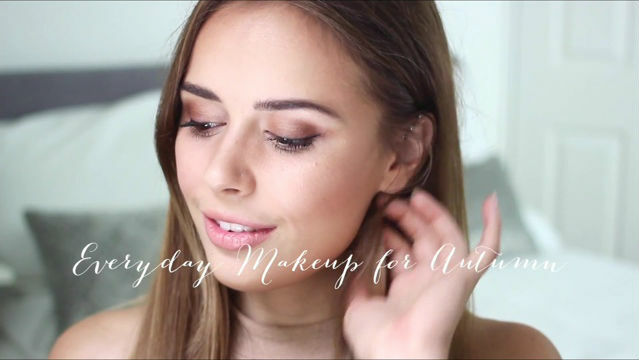 There's been a few makeup looks that I've really liked and enjoyed watching tutorials on Youtube and they're from the lovey Allana Davison and Suzie from Hello October. There are two of my favourite bloggers/youtubers and these looks just inspired me. 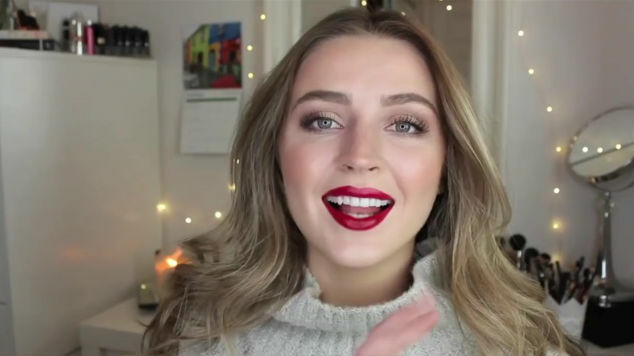 I really liked Allana Davion's October Faves makeup look, and her fall inspired gold eyes and red lips was just stunning. 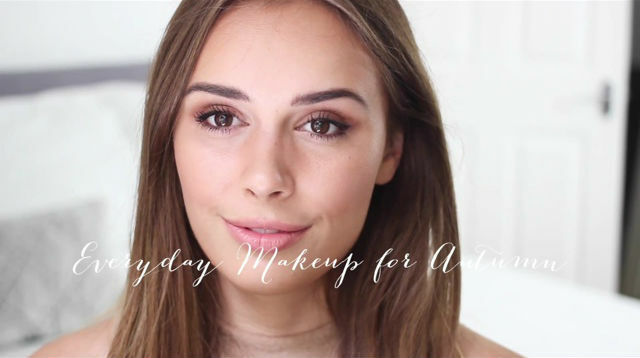 Then from Hello October is this beautiful everyday makeup look. I actually ended up purchasing the palette she used after I watched this tutorial so will definitely be trying to recreate this look. 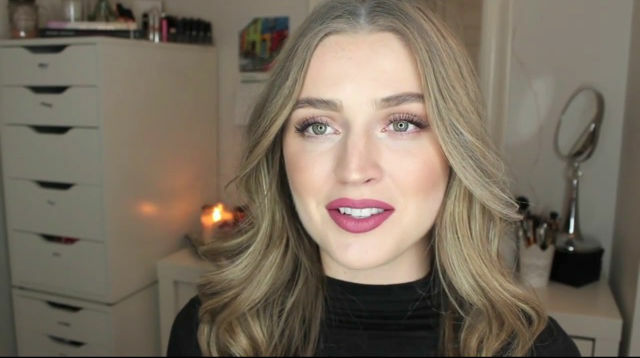 Love it and definitely think you should check Allana out on her blog and YouTube and Suzie on her blog and YouTube. I hope you enjoyed reading today's weekly faves.